ENGERT’S APPRECIATION FOR CRAFT BEER BEGAN AT A YOUNG AGE.THE EARLIEST INFLUENCE WAS HIS FATHER, WHO SUPPORTED THEN LITTLE-KNOWN MICROBREWERIES SUCH AS SAMUEL ADAMS AND SARANAC, AND THAT MADE A LASTING IMPRESSION ON HIS SON. FOLLOWING UNDERGRADUATE WORK AT MIDDLEBURY COLLEGE, TRINITY COLLEGE DUBLIN AND THE GOETHE INSTITUT IN MUNICH, AS WELL AS GRADUATE WORK AT GEORGETOWN UNIVERSITY, ENGERT MADE HIS FIRST FORAY INTO THE BEER BUSINESS AT THE VENERABLE BRICKSKELLER IN WASHINGTON, DC. IN 2006, THE NEIGHBORHOOD RESTAURANT GROUP TAPPED ENGERT AS THE BEER DIRECTOR FOR THEIR NEW BEER-CENTRIC RESTAURANT, RUSTICO. AND BY 2008, HE HAD ASSUMED HIS CURRENT ROLE AS BEER DIRECTOR FOR THE GROUP. 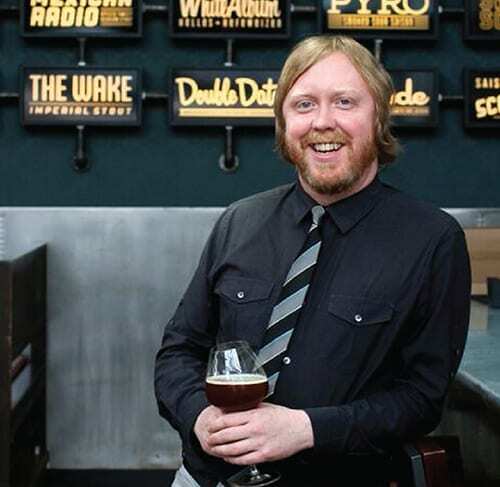 IN OCTOBER 2009, ENGERT AND THE NEIGHBORHOOD RESTAURANT GROUP OPENED BIRCH & BARLEY AND CHURCHKEY, WHERE – IN ADDITION TO HIS FUNCTION AS BEER DIRECTOR– HE IS ALSO THE MANAGING PARTNER. A SECOND RUSTICO OPENED IN 2010 IN THE BALLSTON NEIGHBORHOOD OF ARLINGTON, VIRGINIA, WHERE ENGERT ALSO SERVES AS MANAGING PARTNER AND BEER DIRECTOR. TOGETHER, GREG ENGERT AND THE NEIGHBORHOOD RESTAURANT GROUP OPENED BLUEJACKET ON OCTOBER 29, 2013. RECOGNIZED FOR HIS WORK, ENGERT WAS NOMINATED IN FEBRUARY 2012 BY THE JAMES BEARD FOUNDATION FOR OUTSTANDING WINE & SPIRITS PROFESSIONAL.” IN APRIL 2010, FOOD & WINE NAMED ENGERT ONE OF ITS “SOMMELIERS OF THE YEAR,” THE FIRST TIME THE PUBLICATION RECOGNIZED A BEER PROFESSIONAL FOR THIS HONOR. HE WAS ALSO SELECTED TO RECEIVE A STARCHEFS RISING STAR AWARD IN 2010, MAKING HIM THE FIRST BEER PROFESSIONAL TO RECEIVE THEIR SOMMELIER HONOR. ENGERT HAS ALSO BEEN FEATURED IN SOME OF THE MOST PRESTIGIOUS MEDIA OUTLETS IN THE COUNTRY INCLUDING THE NEW YORK TIMES, USA TODAY, FOOD & WINE, FOOD ARTS, THE WASHINGTON POST, WASHINGTONIAN, MEN’S HEALTH, SLATE, BEER ADVOCATE, IMBIBE, DRAFT AND MID-ATLANTIC BREWING NEWS AND APPEARED ON NATIONAL TELEVISION PROGRAMS SUCH AS COOKING CHANNEL’S FOODOGRAPHY AND UNIQUE EATS, AND NPR'S SPLENDID TABLE. ORIGINALLY FROM SILVER SPRING, MD, MARCELLE AFRAM GREW UP IMMERSED IN THE RESTAURANT INDUSTRY, ASSISTING HER PARENTS IN THE KITCHENS OF THEIR MOM & POP PIZZA SHOPS AND LEBANESE RESTAURANTS. LATER IN LIFE, MARCELLE TRAINED UNDER MICHELIN STAR CHEFS IN SPAIN, WORKED AT FISHERIES IN PUERTO RICO, AND ON A FARM COOPERATIVE IN WISCONSIN. ALL BEFORE COMING BACK TO THE D.C. AREA AND OPENING RESTAURANTS WITH STIR FOOD GROUP, ULTIMATELY OPERATING HER OWN CONSULTING BUSINESS. SHE LANDED AT BLUEJACKET BEFORE THE OPENING IN OCTOBER 2013. 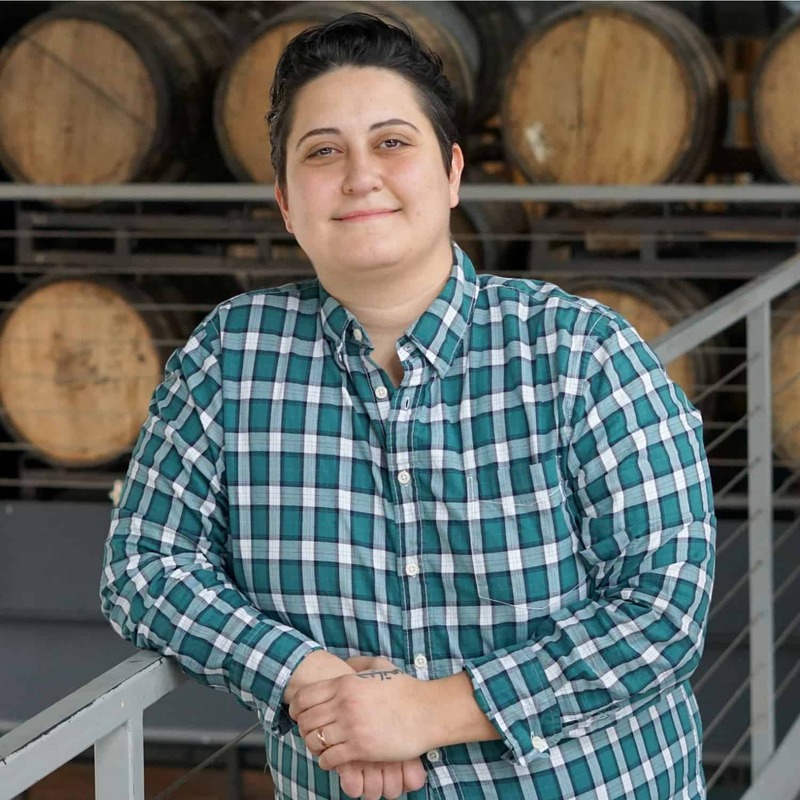 AT BLUEJACKET, MARCELLE DRAWS ON HER ITALIAN AND MEDITERRANEAN CULINARY TRAINING WHICH INSTILLED IN HER THE APPROACH TO USE ONLY THE BEST INGREDIENTS OF THE SEASON, BY BUILDING CLOSE RELATIONSHIPS TO LOCAL FARMERS AND PURVEYORS. BLUEJACKET SERVES A SEASONAL MENU WITH BEER GARDEN FLARE AND PROUDLY SOURCES NEARLY 100% OF ITS PRODUCE AND MEAT LOCALLY.